School exams come in all shapes and sizes. Some may prove to be very difficult to answer, while others may prove to be easy and fun. But the truth remains that not everyone is the same: what could be extremely difficult for one may be relatively trouble-free for the other. However, there are certain approaches to studying that can definitely help in getting high scores, no matter which type of exam is presented. The moment the teacher or professor announces an exam schedule, always see to it that you ask just what exam type is to be given. Knowing the type of exam you have to face is just about as important as knowing which answers you need to supply. There are so many exam types a student encounters throughout his or her life as a learner. Different schools have different preferences in testing the aptitude of its students, in their continuing quest to maintain a certain level of quality in education system. In addition, different teachers or professors too have varying fondness of the exam types to give the students, which oftentimes depend on the subject matter being taught. For instance, a Values Education teacher may find it necessary to give essay exams more frequently than a General Science teacher. Or a World History teacher, due to the large volumes of dates for the students to remember, may normally give out multiple choice exams rather than fill in the blank exams. The most common exam types encountered by students are: true or false, multiple choice, matching, essay, and fill in the blank. Each student, for sure, has his own favorite type of exam, based on how well he or she can provide the right answers. As they are more and more exposed to different exam types, they will discover which ones need more time for preparation, and which ones don’t. Alas, the students do not really have a say on which type of exam is to be given. 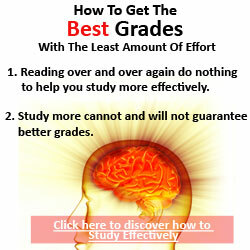 However, they can simply make use of certain techniques in studying, suited for each type of exam. Many students will readily admit that if only they had the choice, they would prefer true or false over any other exam types. And some teachers or professors know this, so they usually make the sentences or questions rather tricky. With this type of exam, one needs to make sure that the subject matter is very well understood. The truth is the requirement to memorize details is just about as hard as a fill in the blank exam, although your answer can only be either a “true” or a “false”. The good thing about a multiple choice type of exam is you are guaranteed that the correct answer is one of the choices. However, the rest of the choices are there to distract you. The best way to prepare for a multiple choice type of exam is to be familiar with as many information as possible. Then when selecting an answer, try not to look for the correct one right away. If there are 4 choices and you can eliminate 2 wrong answers, the likelihood of going for the right one is very high. The process of elimination will significantly trim down your choices. Just like a multiple choice exam, all the right possible answers are given in a matching type exam. Because of this reason, it is not surprising why many students like this type of exam. Reading the question, then scanning the choices column for the right answer is all it takes to answer this exam type. But sometimes, the choices column contains more number of answers than the questions themselves, and this can be very tricky. Make sure you have scanned all the available answers before picking the right one. Sometimes you will encounter a seemingly correct answer near the beginning of the column choices, but it could be possible that a more correct answer is written near the bottom of the column. The good thing about an essay type exam is you can express your answers into your own words. 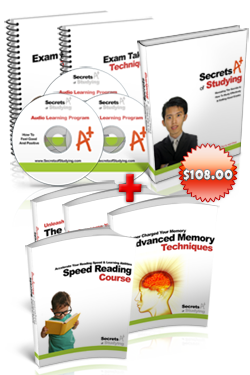 This type of exam is most favored by students who love to write and talk a lot. However, some essay type exams give a range of word count you need to fit your knowledge about the subject matter in. And this may prove to be very difficult to some students, as it will readily tell the teacher or professor rating the answers whether or not they have read the topic thoroughly. For instance, someone who did not read a 5-page topic may find it extremely hard to come up with a 500-word essay about it. The best way to prepare for an essay type exam is to read, understand and restate. The best way to prepare for a fill in the blank exam type is through understanding the subject matter and memorizing keywords, such as names, places and dates. The bad thing about fill in the blank exam types is you will not be given any choices. Also, the chances of getting a correct answer just by merely writing down a wild guess is very slim, although not entirely unlikely. For most students, this type of exam is the most difficult as it lets the teacher or professor know right away if you have read the subject matter. I have difficulty in understanding but I believe this will Help me plan & study effectively.